With the help of the Orthopaedic & Sports Medicine Center of Miami, you will be back on your feet doing your favorite activities in no time. We offer the orthopaedic services you require for your 100% health and wellness. At the Orthopaedic & Sports Medicine Center of Miami, patients can access care and insight from specialists after regular business hours. Receive an evaluation, diagnosis, and treatment for injuries involving the Shoulders, Knees, Ankles and several other Musculoskeletal structures in the body. An Individuals orthopaedic injury may be considered low priority at a conventional emergency room due to the various life-threatening conditions most emergency rooms treat. 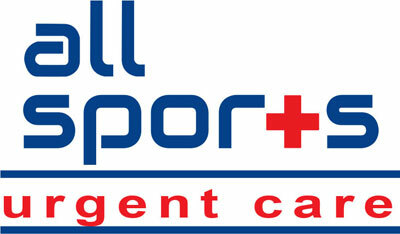 At ALL SPORT Urgent Care, which is a walk -in orthopaedic clinic, every patient is a priority and will be seen and treated by a board certified medical professional who specializes in sports medicine. Individuals may also be able to avoid the higher costs and fees associated with an emergency room visit by receiving treatment at an orthopaedic walk-in clinic. Open to athletes ranging from 10- high school and even those weekend warriors, ALL SPORT provides the complete Sports Medicine Walk in Clinic experience. Services include: X-Ray and MRI testing, as well as an evaluation and diagnosis by a fellowship-trained orthopaedic specialist. Your visit also includes Bracing, casting, and physical therapy consultation if needed. No appointment necessary, most insurance companies accepted.